Wedding Cake Blue & lavender Hydrangea blossoms accented with delicate sprays of Lily-of-the-valley. 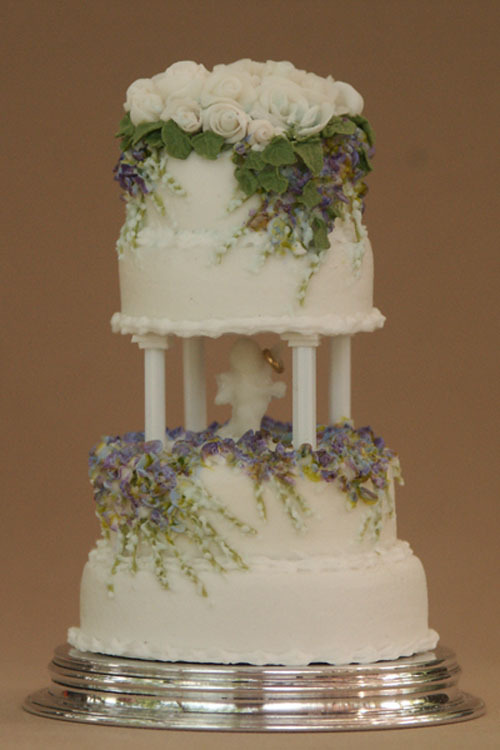 The 2 top tiers are separated by 4 glass columns and a cherub holds a 10K gold ring. Topped with white CP roses.